Vintage 60s Stock, Never Worn. 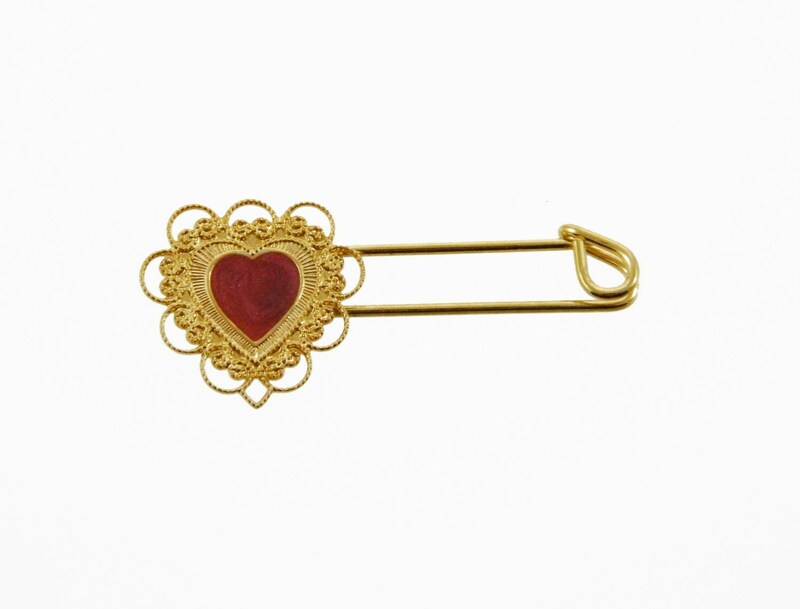 Gold Plated Lace Heart Kilt Pin with Red Enamel Center. Vintage Patina on back adds to authentic vintage look.